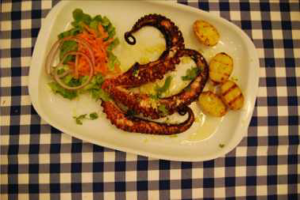 Returning to Portugal, after many years working abroad, Eduardo and his wife Nicole resumed the management of a restaurant, which they had rented and they had specialized in octopus dishes. 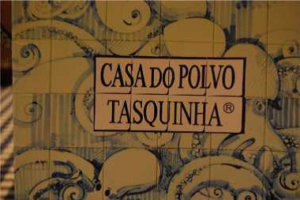 The restaurant is “Casa do polvo” in Tasquinha. In addition, Eduardo is dedicated to buying fresh octopus from traditional fishermen, freezing it and distributing it to the best restaurants of the region. 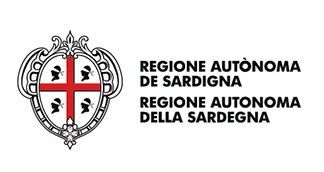 (Please, specify: 1 – name of the local area, 2 – if it’s a place well-known for a specific activity and – if so – which one; 4 – information about plants and landscape related to Mediterranean environment linked to the activity; 5 – any relevant information linked to the research). If it’s possible, take pictures/shoot video of this place. Description of the technique/method/practice implemented. Please, specify – if it’s the case – the timing, the steps and the aim of the activity (to have more material: pictures + video shooting of the usage if it’s possible). 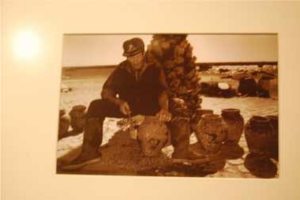 The octopuses have been captured for ages with clay pots tied together with a rope. In the recent years, plastic ones are being used. They are being submerged in specific places for several days until the octopuses nest in them and then they are recovered to the fisherman’s boat. 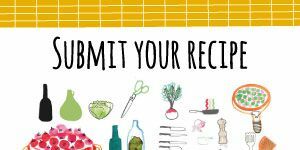 List of natural products (fruits, vegetables, plants, fish and so on) depending on the activity/the activity is done for and related to the Mediterranean Diet. Promotion of the territory. Promotion of biodiver Promotion of slow and 0% consumptionif it’s the case, how the 0 Km production is working at local level: Region, if it’s a place famous for a specific activity, why and so? The tools needed are clay pots called “alcatruz” or plastic pots and a rope to link them together. If it’s an activity related to the promotion of the territory, the biodiversity and the slow and 0% consumption, please, describe how it works at local level (if it’s related to traditional practice or traditional organization of the food distribution, promotion of territory or 0% consumption). How did you learn this method/technique/practice? The fishing technique was acquired by years of experience in fish restaurants and fishing, which also led in specializing in octopuses. Is there some memory/historical event connected to this method/technique/practice? 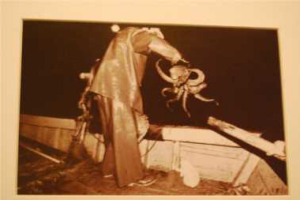 The turning point from traditional fishing by hooks or boats towards traps was 1842 and later on, by 1927 the fishermen focused in octopuses, so that Santa Luzia is now being referred to as the capital of the octopus. 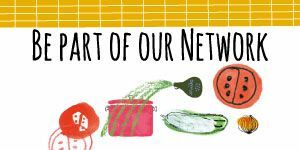 Personal reference to Mediterranean traditions (working together, sharing, harvest/fish together etc.)? The information show that this transitions to new fishing methods where simultaneously being adopted by the whole fishing community. The younger generation of fishermen prefer not to wait for the mollusks to fall asleep, so they prefer to use a “covo,” a plastic trap with a sardine inside. Any local tradition this method is connected to? If yes, which one? Can you describe it? The fishing tradition was a matter of Santa Luzia being a seaside community. Is this activity connected to the territory you live in? Is it strictly linked to the specificity of the environment? The octopus business leading position is linked to Santa Luzia due to the fishermen’ specialization in them only, that provided them with competitiveness and economies of scale in contrast to the other fishermen of various seafood. 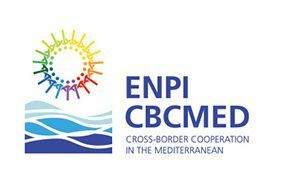 This publication has been produced with the financial assistance of the European Union under the ENPI CBC Mediterranean Sea Basin Programme. 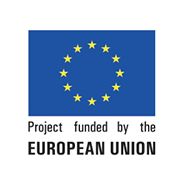 The contents of this document are the sole responsibility of Centro per lo Sviluppo Creativo Danilo Dolci and can under no circumstances be regarded as reflecting the position of the European Union or of the Programme’s management structures. 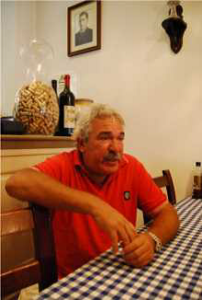 Copyright © 2015 Centro per lo Sviluppo Creativo "Danilo Dolci"